It’s Christmas time and I’m going on another 30 Plus Teams Tour . I’m excited because my tour is bringing me up to Boston . I’m not taking Amtrak , Megabus , or one of the Chinese buses that I took when I went to Baltimore . Greyhound isn’t an option anymore. I’ll only take them if there’s no other option . This time I’m going to take one of those green and white buses that are the Peter Pan buses. 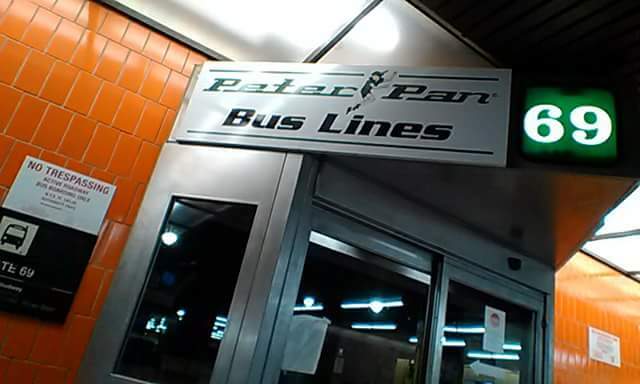 The Peter Pan bus lines aren’t really a new bus line, they’ve been around for a long time, but you only find them in the Northeast states. They go as far down as Baltimore . They were once affiliated with Greyhound , but no longer. 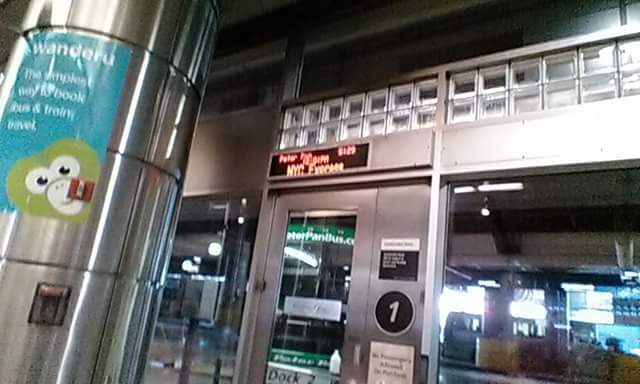 They also leave from Port Authority and arrive at some of the same bus terminals that Greyhound arrives at. Peter Pan buses are spacious and very comfortable . The buses are also equipped with seat belts in EVERY seat. 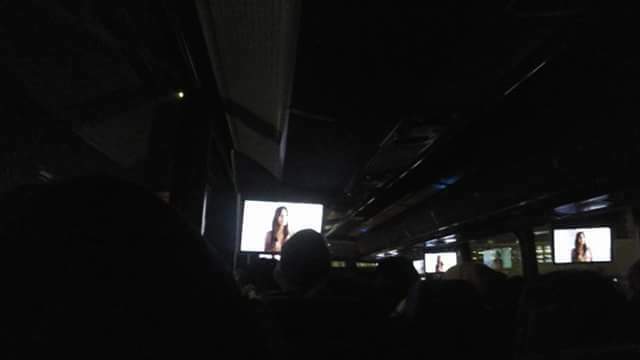 They even show you a video of what to expect when you get on the bus, like the WiFi . One thing that Peter Pan doesn’t have are outlets for charging your mobile devices in every seat. You have to sit in the seats that are on the left side of the bus. Unfortunately , on my return , neither of the two outlets in my seat worked. Not good guys, if you’re hyping up the fact that you have WiFi . Because I got my ticket early, my bus fare was cheap, and I got the senior rate. Don’t wait until the last minute to buy that ticket. The fare might not be as cheap as you think. 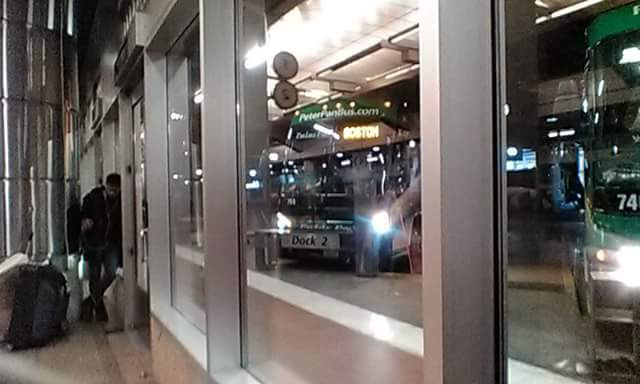 Going to Boston was smooth and I was able to look out the window and see areas of the city that Greyhound or Megabus doesn’t even travel on their way to Boston . Coming back, even though I wasn’t feeling well , I could actually put my seat back and sleep in comfort . Given the fact that we were coming back to New York City , traffic was a nightmare and instead of getting back to New York City at 4:30, it was more like 6 pm that the bus arrived. I would still definitely recommend Peter Pan Bus lines to anyone if you happen to be visiting the Northeast areas of the United States . 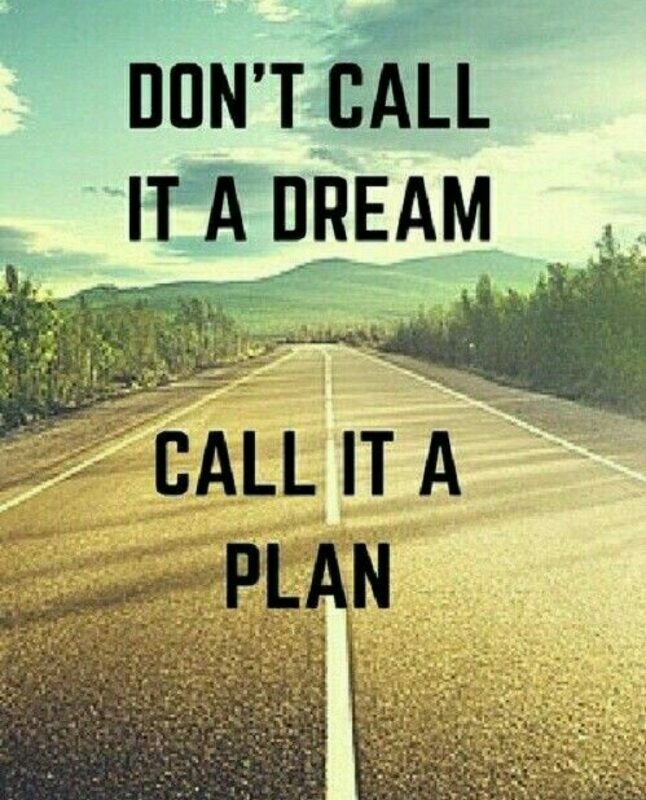 Just make sure that Peter Pan goes to the places that you want to go to and don’t wait until the last minute to buy that ticket. December 25 is officially over , but I’m still thinking about Christmas songs . I don’t remember too much of the sing, but I’m going to change the words. My true love didn’t give me anything nice on the first day of Christmas . A white Christmas , chills, a sore throat , coughing , sneezing , and wheezing . While many people were ripping the covers off their presents, I was putting covers over my body. The rest of my “12” days of Christmas weren’t any different . No, let me stop lying. It went downhill from the first day of Christmas . My second day of Christmas , I was on a Peter Pan Bus along with a few other people who were in the same shape that I was. 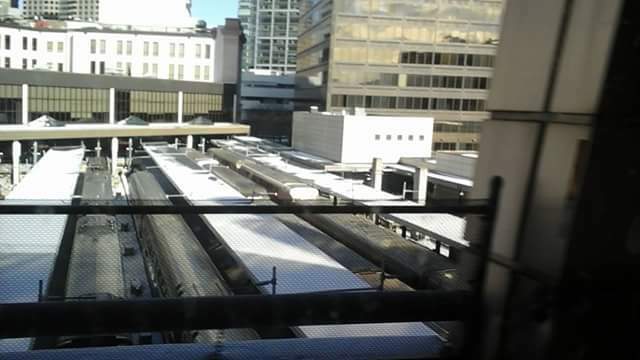 Most of us were wrapped up warmly, coughing , sneezing and freezing all the way from South Station Bus Terminal in Boston to Port Authority in “The Big Apple “. On my third day of Christmas , I didn’t have ladies dancing, there were no pipers piping, or lords a leaping. 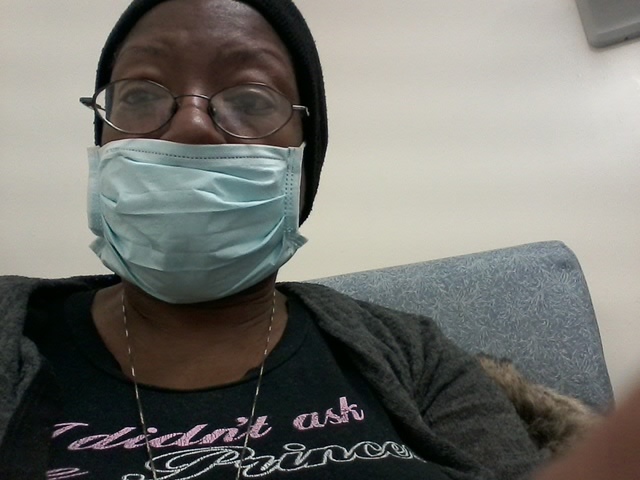 I had doctors and nurses taking my temperature , my vital signs and doing xrays to make sure that I didn’t have pneumonia . My “last” day of Christmas, day number four, was spent like days one thru three. I’m under the covers except now I’m taking medicine and drinking lots of fluids. There will be no five thru 12 days of Christmas because I just know it’s going to be like days one thru four, just saying. I once wrote a post about my favorite holiday . Christmas wasn’t it, and now I know why. I didn’t get a partridge in a pear tree for the first day of Christmas or any of the other days of Christmas . Instead , I got a box of tissues, chicken soup, orange juice, a blue surgical mask, and a bottle of cough syrup. The tree is sitting in the living room, there’s not that many presents under it and not that many people to ooh and aah who gave what to whom. It’s Christmas 2017 in the city of Boston, and guess what? It actually IS a white Christmas . Snow is falling from everywhere and I can’t even see Boston Logan Airport from the window, even though it’s very close to the place that I’m staying in. Christmas is usually a time to eat, be with the family and of course , watch all those basketball games that come on every Christmas . This Christmas , though, I can’t do any of those things. My Christmas present from the city of Boston was to get sick. I couldn’t eat, hang out with the family or even watch any basketball . 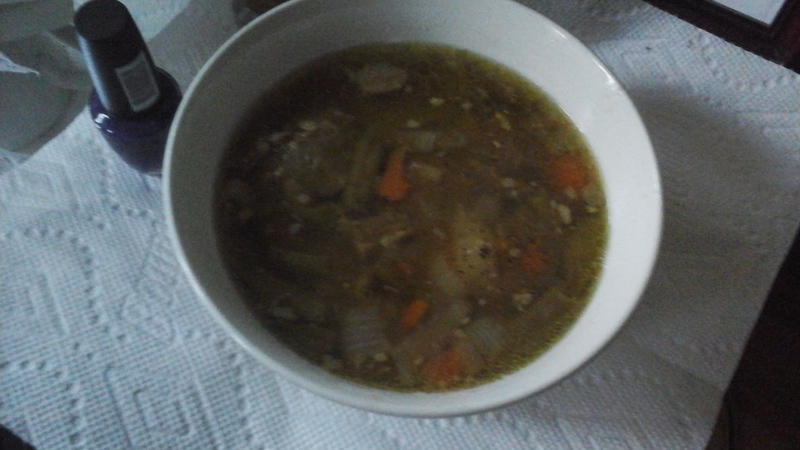 Tea, Motrin, Toast and Soup were my companions for Christmas . As I was leaving to go back to New York the next day, it took me a long time to pack. I finally did it at 2:30am and then went back under the comforter. Thank you Boston for your Christmas gift to me. OH WHAT A CHRISTMAS !